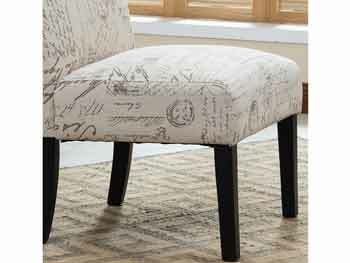 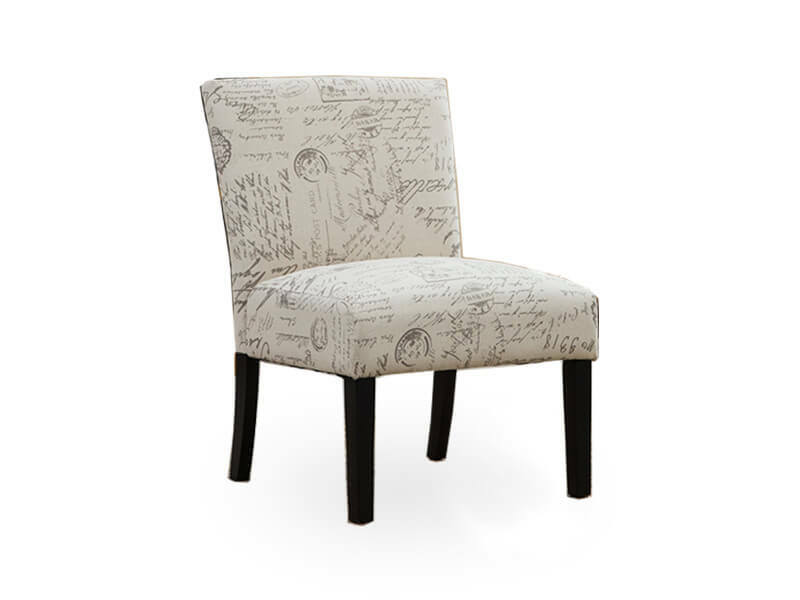 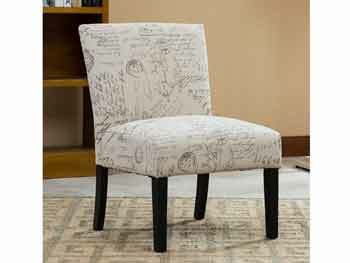 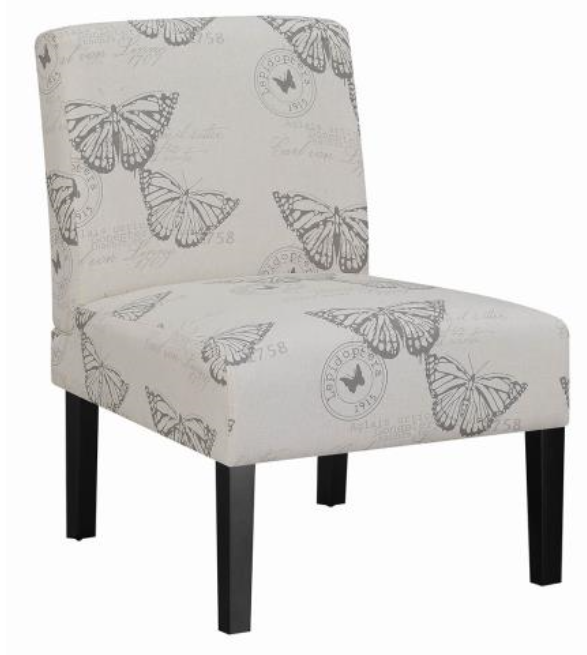 The contemporary-designed english letter print accent chair is a perfect chair for your office, living room or bedroom. A sturdy frame supports the piece, constructed from kiln-dried hardwood and featuring an espresso finish. 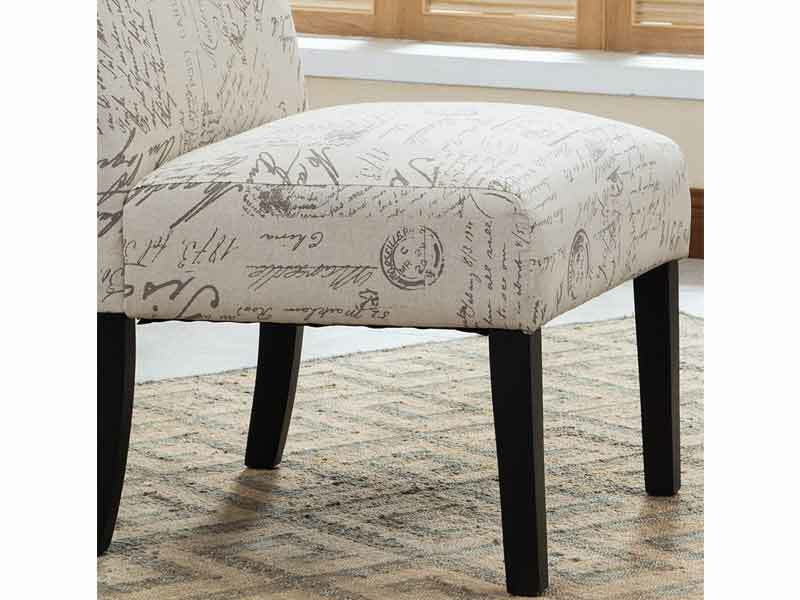 The Jill Accent Chair can be matched with our wide selection of sofa packages.